provide upward reporting to E-Learning User Groups. This is an informal group to support individuals who manage e-learning in their own area of QMUL. 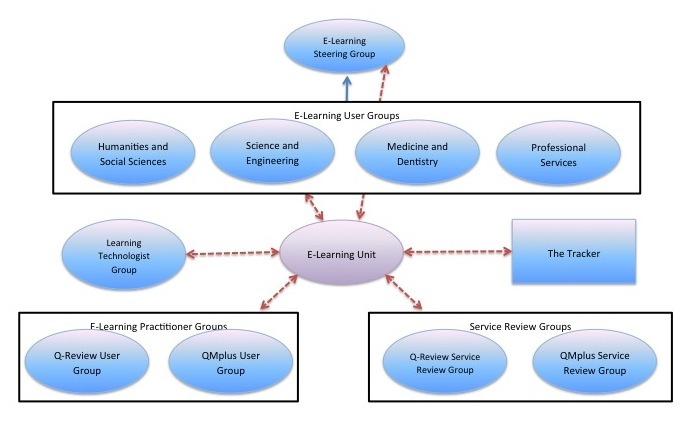 The purpose is to build a community of e-learning specialists who can share good practice and knowledge from across the institution and connect those outside of the ELU with learning technology colleagues. It is also an experts group to propose and evaluate new technologies which may have relevance in some areas of the college and to trial developments in existing applications.